Though my blog has gone long unattended-to, my potting around and life in clay has, indeed, continued. While there are many updates to come, I want to first make known the studio I call my potting home. Ladybug Studios is a clay cooperative in Hubbard Farms, a neighborhood in Southwest Detroit, a neighborhood I also call my home. A totally volunteer-run operation, Ladybug provides local artists with space and tools to create and exhibit art and share skills and vision with the community. Co-op members facilitate monthly drop-in workshops to share Ladybug’s resources, expanding access to the ceramic arts with all participants. 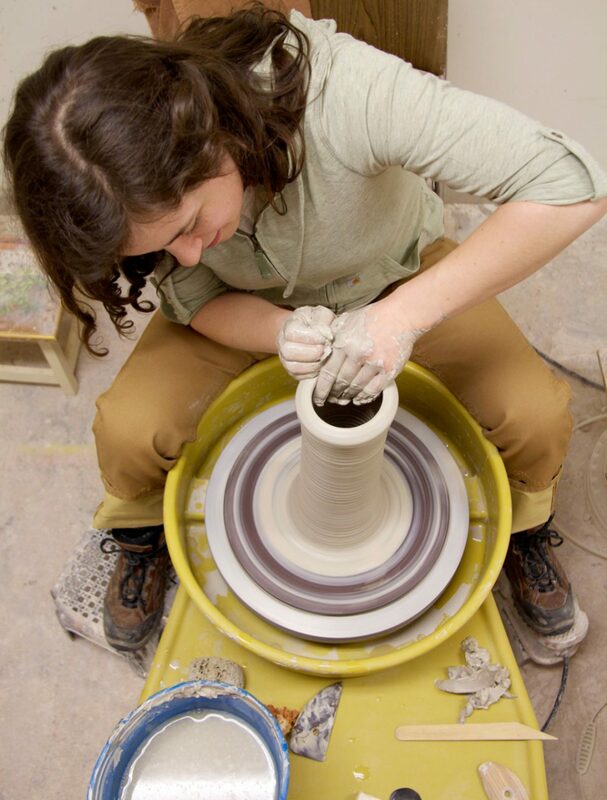 Ladybug empowers all members and participants to share in the (teaching and) learning experience and nurtures the creative process using clay as a common language. I make my work here, I’m able to teach out of the space, and I’ve made many of my closest friends since moving home to Detroit through this cooperative community. Here are some images from our most recent drop-in workshops.